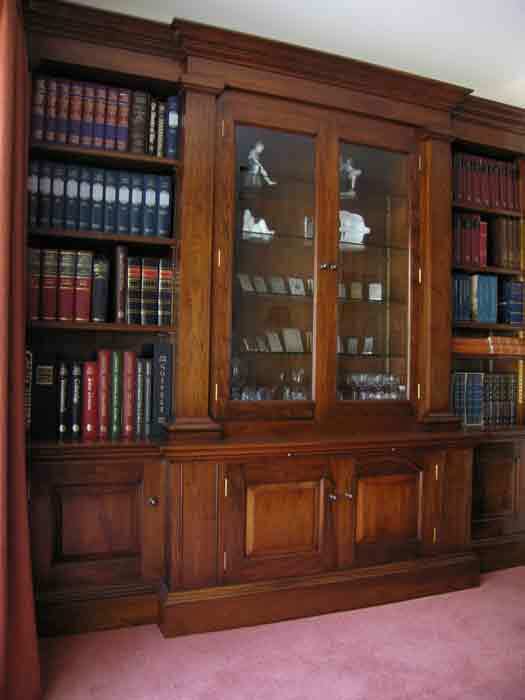 A client near Epping Forest required a combination of storage, display and open bookcases. 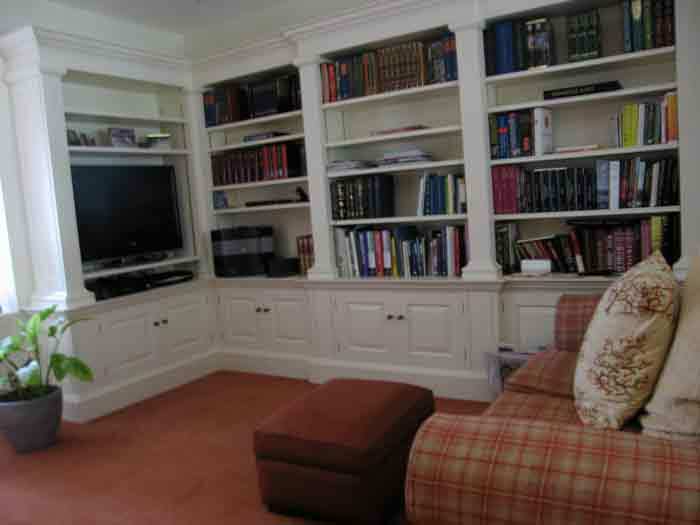 Incorporating a flat screen TV, it was decided that one end of the room would feature painted open bookcases with cupboards below; whilst to the other end of the room, to add an air of formality, would be a walnut breakfront bookcase with glazed doors to the breakfront. 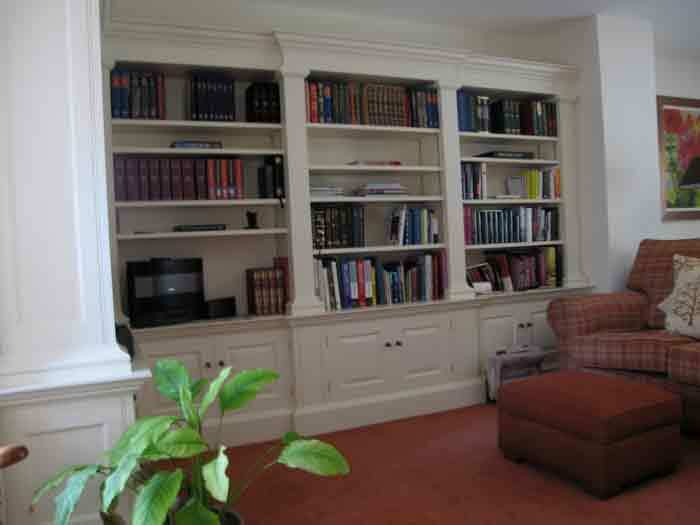 Both bookcases, painted and walnut, featured the same mouldings throughout, with the bookcase sections all being sub-divided by classically inspired pilasters. All shelves were adjustable to ensure maximum versatility.